Reports are emerging that Topiary, a key member and spokesman of LulzSec, has been arrested. Officers from the Metropolitan Police Service’s Police Central e-Crime Unit (PCeU) arrested a 19-year-old man in an intelligence-led operation today. The announcement was made on the Metropolitan Police Website, and the arrest has been made as part of an “ongoing international investigation into the criminal activity of the so-called “hacktivist” groups Anonymous and LulzSec”. The statement also confirms that they believe the man they have is “Topiary”. The suspect was arrested at a residential address in the Shetland Islands, off the north east coast of Scotland, and he is being transported to a police station in central London. His address is currently being searched. Police are also searching another address in Lincolnshire, and a 17-year-old male is being interviewed under caution in connection with the inquiry, though he has not been arrested. It’s thought that ‘Topiary’ is second-in-command at LulzSec, and the ‘public’ face of the hacktivist group. Topiary was notable for his eloquent writing, and it may surprise some to learn that the man suspected of being Topiary is still a teenager. Topiary is thought to manage the main LulzSec Twitter account, which was last updated 5 hours ago, though he likely had a hand in most of the group’s announcements. He’s also thought to be well-known among hackers with links to more senior Anonymous members. We’ve written extensively about both LulzSec and Anonymous in recent months. LulzSec announced in June that it was to cease activities after 50 days, but the group was soon back in the fold. And just last week, we reported on LulzSec and Anonymous’ joint statement, which was directed at the FBI. 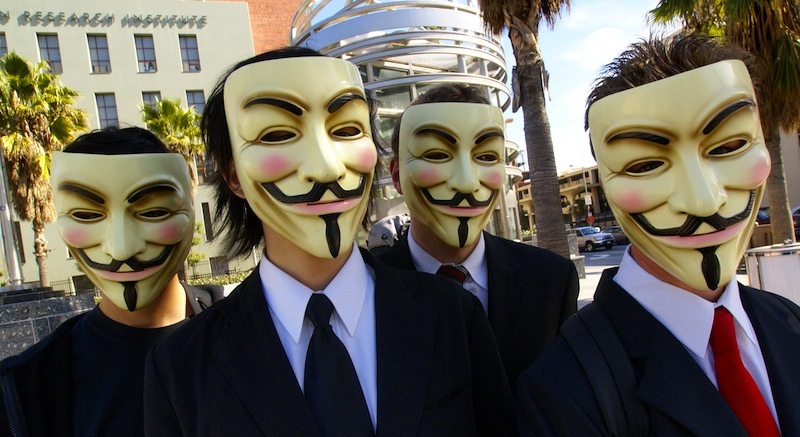 The LulzSec and Anonymous hacktivist groups seem to be spread far and wide. Last week we reported that the FBI had raided three people’s homes in New York, thought to be members of Anonymous. Shortly after, it was revealed that a 16-year old leading member of LulzSec, known as TFlow, had been taken into custody in London. And at the time of writing, the Lulzsecurity website has been taken offline too: http://lulzsecurity.com/. We’re sure there will be further statements from both LulzSec and Anonymous in due course, but it seems that the net is certainly closing in, and it will be interesting to see where the hacktivists go from here.